In the first four installments of the Audiophile System Builder, we discussed more than a dozen system options between $1,000-$10,000 that offer a genuine taste of high-end audio for both the desktop listener and those looking to assemble a first-rate system for their living room or den. Regardless of your budget, there are some great system configurations available that will have you enjoying your music collection for years to come, but you need to know where to start. Putting together an affordable system from the myriad of choices is not an easy endeavor, and unless you have access to a great dealer with an extensive line-up of products, you are almost forced to buy online based on reviews or word of mouth alone – a practice that does not guarantee success. Spring is a great time of year for the audio industry and the consumer because it’s the time of year when an enormous number of new products are launched at press events and trade shows in New York, Montreal, and Munich. After close to four years of recession and negligible growth, the high-end audio market is starting to show signs of life. Most of the excitement is being generated at the entry-level where the vast majority of consumers can afford to shop. We are going to revisit the $5,000 category with this installment because many of the great new components we have had an opportunity to play with since CES fit nicely into this budget and generated a great deal of interest from both dealers and consumers who were lucky enough to hear them perform for the first time. All three systems listed below offer high levels of resolution, superb imaging, and tremendous value for the money. The amazing thing is that all three loudspeakers we have selected are small enough to vanish inside a bookshelf, though that’s really not where they belong if you really want to be amazed by what they can do. In early May, the folks from Lenbrook invited Digital Trends for an early look at the new Digital Classic series from NAD and we walked away more than just a little impressed. 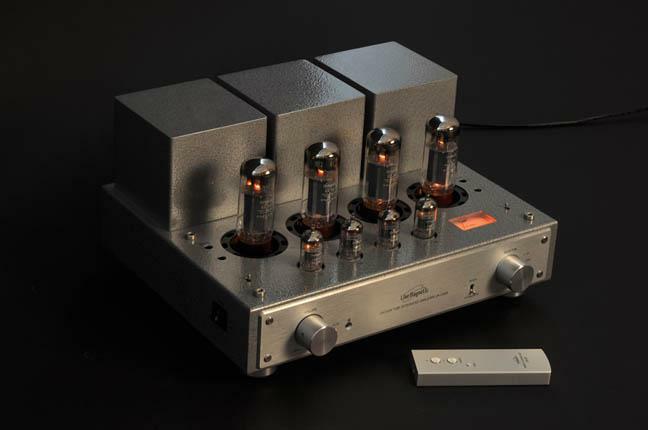 While much of the attention since has been on the new D 3020 DAC/Integrated Amplifier – a modern twist on the venerable NAD 3020 Integrated Amplifier that was launched in the 1970s – our interest was piqued by the larger and more powerful D 7050 Network Receiver. 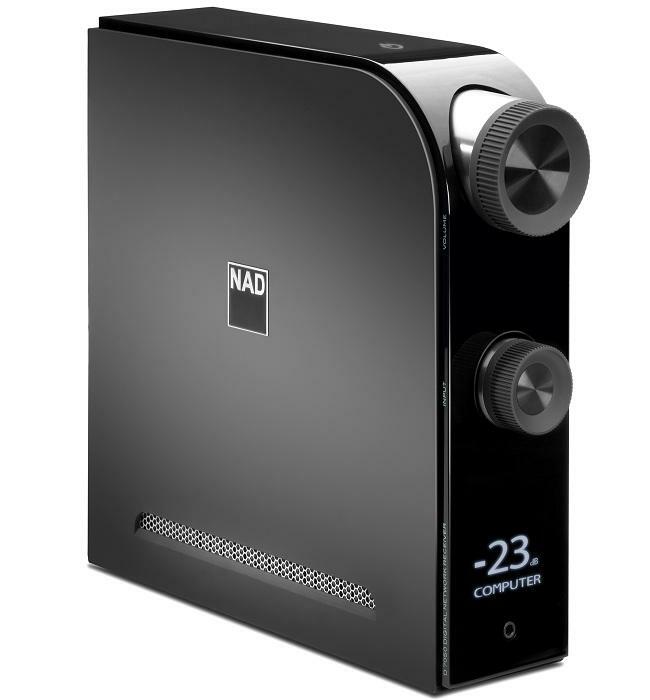 What makes the D 7050 so intriguing is that it offers a big taste of NAD’s Master Series M2 Amplifier ($6,000) for considerably less money. The D 7050’s power rating might seem rather unimpressive at only 50 watts per channel (100 watts into 4 ohms), but our listening tests confirmed that the D 7050 has the ability to drive rather demanding loads at very high volume levels without breaking a sweat. The D 7050 has five digital inputs (1 USB, 2 coaxial, 2 optical), a dedicated headphone amplifier, 24-bit/192kHz DAC, dedicated subwoofer output, and one of the best wireless connectivity configurations we have seen considering the price. In addition to combining Apple AirPlay wireless streaming technology to create the ultimate plug ’n play solution for wireless music in the home, the D 7050 is configured to stream any UPnP audio content through your home network, and can also stream via Bluetooth (aptX), or directly from your computer or smart device. The D 7050 supports Wi-Fi and Internet radio. The D 7050 is supplied with a remote control, but we suspect most users will prefer to use the remote app that is available for both iOS and Android-based smartphone and tablets. The only thing missing from the D 7050 is an analog input for people who would want to use a turntable with this system; although if one didn’t care if their analog was converted to digital, they could connect one of the turntables we discussed in our recent article about “digitizing your vinyl” via the USB input and pretend that it was analog. 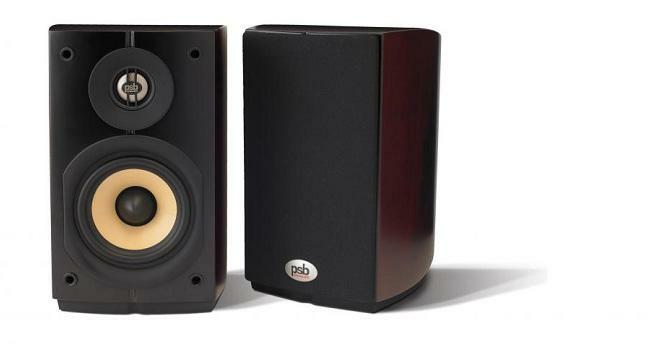 What sold us on the D 7050 was how it handled the PSB Imagine mini loudspeakers. Measuring just 5 ¾ x 9 ¼ x 8 1/3 (W x H x D – in inches), the diminutive Imagine mini might strike one as a rip-off at $760/pair, but when the first notes exploded out of its 4-inch woofer and 1-inch tweeter, we were absolutely stunned. Not only do the Imagine mini sound like much larger floor-standing loudspeakers, but they also reproduce music with a sense of scale and coherency that you don’t always hear from products at $1,500 – let alone $760. Combine the Imagine mini with the SubSeries HD10 front-firing subwoofer, and you have a full-range system that will play cleanly down to almost 35 Hz and image as well as some $2,000 monitors that we’ve heard. If the satellite/subwoofer combination doesn’t work for you, the Imagine T floor-standing loudspeakers also work really well with the D 7050, but you certainly lose the impact of the HD10 subwoofer. The tonal balance will be quite similar, and you will save some money on cables. One of the things we really like about Danish loudspeaker giant, Dynaudio, is that it doesn’t refresh its product line-up every single year. The folks in Skanderborg seem to have a pretty good grasp of how to make a great sounding loudspeaker, and it doesn’t happen very often that they dump a best-selling product like the Excite X12 loudspeaker unless its replacement is a major step forward. 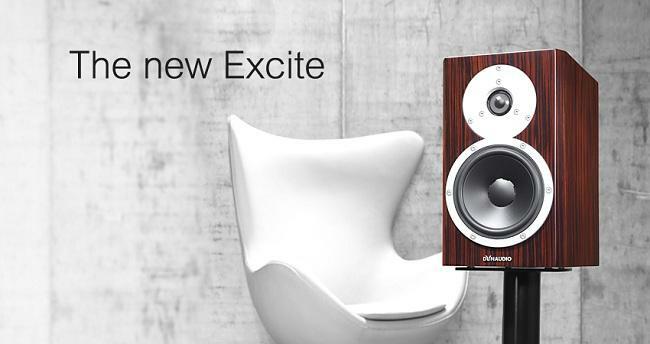 While only slightly more expensive than its predecessor, the new Excite X14 loudspeakers made their debut in Munich earlier this month, and the word is that there is a lot to like about these 2-way monitors. The X14 take the see-through transparency and airy top end of the X12 to another level, and, while the loudspeaker is not as easy to drive as its predecessor, its bass is tauter and more fleshed out. Another reason to love the X14 is that it isn’t terribly difficult to set up; you’re not limited to one type of location. Dynaudio offers a number of stand options and wall brackets to give customers maximum flexibility when it comes to setup. The X14 also sound great with both tube and solid state amplification. Both the Line Magnetic and Bel Canto Integrated Amplifiers have more than enough power to drive the X14, and they match up really well from a tonal perspective. The Bel Canto offers more power and better control of the bass, but it’s not as smooth sounding as the tube integrated. The Line Magnetic/Dynaudio combination is downright spooky with well-recorded vocals and absolutely mesmerizing with jazz, blues, folk, and chamber music. If you value tone, texture, and presence over bass slam and extreme dynamic capabilities, the X14 are one of the best loudspeakers under $2,000 by a long shot. The Bel Canto e.One C5i DAC/Integrated packs a lot of technology into a very small chassis, including a 60-watt amplifier (120 watts/4 ohms), 24/192 DAC (USB input is limited to 24/96), dedicated headphone amplifier, MM phono stage, and four additional digital inputs. One of the benefits of the Bel Canto’s design is that it fits almost anywhere; it is only slightly larger than a shoe box. The Line Magnetic LMA-211 EL34 push-pull Integrated requires both an external DAC and phono stage for digital and analog playback. The $250 AudioQuest DragonFly USB DAC is a great place to start with this system, but there is certainly room for improvement if you can afford to step up to something like the Schiit Audio Bifrost USB DAC for about $250 more. As much as we love the X14 loudspeakers, they could use some help in the bass department. The REL T5 subwoofer is an affordable way to extend the bottom end of this system without breaking the bank. The T5 will loosen the chains on the X14 allowing it to playing louder, expand its soundstage, and make this system far more compatible with rock and large-scale classical works. If you’re paying attention, you’ll notice that system #3 has gone over our $5000 limit by almost $1,400. The reality is that the additional funds are money well spent because the diminutive Spendor SA1 loudspeakers are long-term charmers that might just blow your mind in the right room. Having owned a pair of Spendor SP2/3s for more than eight years, we are more than familiar with the house sound and while it may not be considered “modern” sounding by some standards, the old girl isn’t ready to join the choir invisible quite yet. 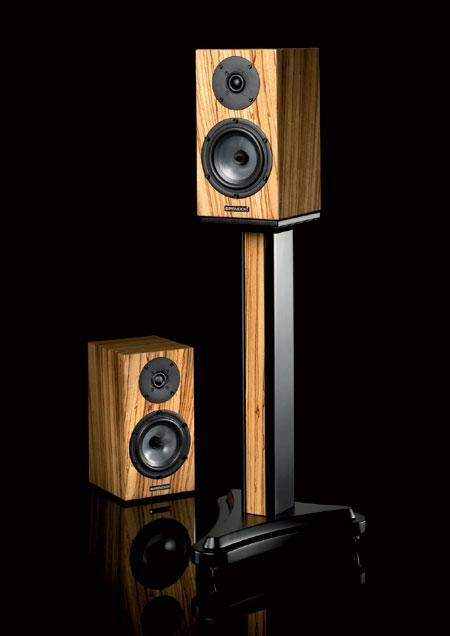 Spendor loudspeakers are all about finesse, imaging, and a midrange that makes vocals absolutely come alive in your room. Some of the shortcomings of the ‘Classic’ series have been addressed in the most recent versions of the venerable SP100 and SP2/3s, which feature more advanced drivers and crossovers, but none of them excite us like the SA1. The SA1 are the type of loudspeakers that require patience on your part. $2,500 is a lot of money to spend on any loudspeaker, let alone one that a child could carry out of the room without much difficulty. The SA1 are really small two-way stand-mounted monitors that won’t cut it in really large listening rooms, but if you want to understand why people are willing to pay the rather exorbitant asking price, hook them up to something special and prepare to be seduced. It’s possible that some might find the mINT DAC/Integrated from Wyred4Sound slightly too warm or thick for the SA1, which already lean towards the dark side of the force. But the American-made mINT delivers some much needed aggression to the polite-sounding British monitors and some control in the bass as well. Imagine if Walt White dropped in on the folks at Downton Abbey during afternoon tea and laced Lady Violet’s drink with crystal meth. The mINT certainly won’t spoil the afternoon for everyone, but it will most certainly alter your perspective. And in the case of the SA1, that might just be what it takes to convince you that you don’t need anything larger in your listening space. The Class D mINT will output more than 100 watts per channel (8 ohms), and while the DAC is limited to 24-bit/96kHz through its USB input, the S/PDIF and optical inputs can take advantage of the DAC’s 24/192 capabilities. The mINT also comes with a dedicated headphone amplifier and excellent remote control. Adding a turntable to any of these systems is a great idea, but it could add around $445-$2,000 to the final cost, so it’s something to keep in mind for the long-term if you can’t swing it right now. These five options both sound great and can be improved over time with a better cartridge and phono preamplifier. If you decide to go with the Bel Canto, you’re already ready for any of the table suggestions because it has a moving magnet phono stage installed. Spending between $3,500-$6,400 on a home stereo system is a huge investment for most people, and we understand why a lot of consumers in 2013 are quite content listening through something like the $200 Definitive Technology Sound Cylinder or a pair of quality headphones. The reality is that people’s listening habits have changed, and how music gets delivered has altered our perception of the traditional home stereo system. The delivery vehicle may have changed, but the desired final outcome has not. Affordable high-end sound in your home is far more achievable than you might think. The choices above will get you most of the way there.